Composed by great Saint and poet Adi Shankaracharya, Shiv Panchakshar strot is a boon for devotees of Shiva. Its recitation is very auspicious during the month of Shravan (Sawan). 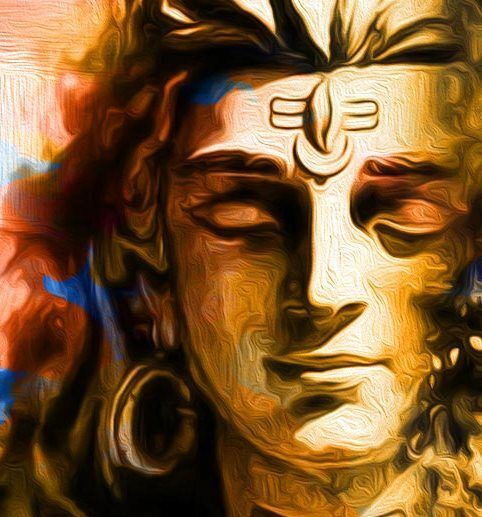 Who has three eyes, whose body is smeared with ashes, who wear clothes of directions means who is ever free, I bow down to ‘Na’ form of Shiv who is pure immortal Lord of Gods. Who is worshiped by water from sacred river Ganga and smeared with sandal paste, revered with mandaar and other beautiful flowers. I salute to ‘Ma‘ form of Shiv who is the Lord of Nandi and other creatures. Who is blissful, and whose divine aura, which is like the sun brightens up beautiful smile of Devi Parvathi. Who destroyed Yagya of Daksha, whose flag has an image of a bull. I salute to’ shi‘ form of blue throat Shiva. Vashistha, Agastya, and Gautham like great sages and Indra and other devas revered him and worship him. I bow down to ‘Va’ form of Shiva who has Sun, Moon, and Agni (fire) as his eyes. 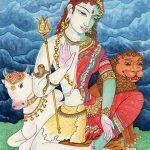 Who is an embodiment of Yajna( sacrifice), who has matted hair, and carry trident in his hand, I bow down to ‘Ya’ form of divine and eternal Shiva. One who recites these verses in front of Shiva Linga attains Shiv Loka (Adobe of Shiva) and will be blissful forever. Which fonts u have used in this blog .Font size are nice …I want to use for my blog also. Thanks,I am using Google fonts.